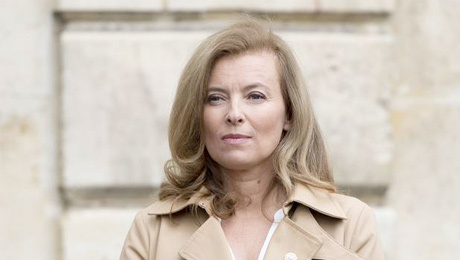 As outraged traditionalists questioned the arrival of a self-styled “Première Journaliste” in the Elysée Palace, many of us hoped Valerie Trierweiler would be a breath of fresh air. 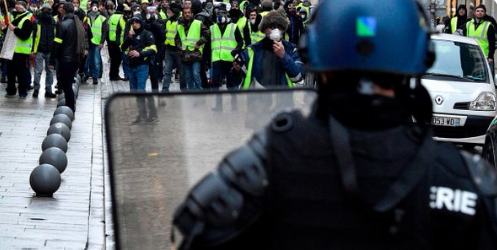 There has never been a full-time hack so close to power in France, and it seemed that press freedom could only benefit. In a notoriously secretive country, President Hollande’s girlfriend might have been the one to open up the executive to greater accountability. Here, after all, was a left-leaning Paris Match writer who had the chutzpah to date a future Socialist president and a conservative minister at the same time, while still married. Trierweiler was a dedicated and unstuffy newswoman who, colleagues insisted, would stop at nothing to get to the truth. How wrong they were. Trierweiler has emerged as the most guarded and litigious first lady in the history of the modern republic. Writ after writ has been filed in the civil courts – including against some of the most distinguished reporters in France. When VSD magazine carried front page beach shots of Trierweiler (in a bikini) and her husband Francois Hollande (in ill-fitting shorts), she sued. Paris Match published the same images, but Trierweiler didn’t sue her own editors, who have been bringing pictures of the rich and famous in Riviera sun spots to its readers since 1949. Vanity court actions over holiday snaps may seem small beer, but there is nothing trivial about the civil action Trierweiler is pursuing against Christophe Jakubyszyn and Alix Bouilhaguet, who exposed her alleged double-dating of Hollande and Patrick Devedjian of the opposition UMP. Both Trierweiler and Devedijian are suing for defamation and breach of privacy. There is no indication of which facts are disputed – her case apparently is that reporting the story is in breach of archaic privacy laws and damages her reputation. Anyone who thinks claims about the adultery of elected officials should remain hidden should remember that François Mitterand kept an entire secret family at taxpayers’ expense. The “anti-terrorist cell” (the official euphemism) used to protect his mistress and child also spied on his politial enemies. The President’s friend appears to believe she should be left alone to write her Paris Match columns while enjoying the massive privileges associated with one of the most powerful political offices in the world. As well as enjoying official homes, private jets and servants, the 47-year-old is said to be considering an autobiography and hosting her own TV politics programme. Valerie Trierweiler has no doubts about her talent as a go-getting journalist, yet apparently objects to every aspect of the modern media maelstrom – from pictures taken in public places to stories about political enemies sleeping together. It is absurd and goes beyond the bed-hopping, femme fatale, French farce clichés centred on her. What is clear now is that she is no “Première Journaliste” but another confirmed member of a notoriously hypocritical French establishment which sees the media as something to be tightly controlled.